Very tasty and good for health. Soak urad dal and rice for four hours. Grind to a smooth paste. Add ragi flour and salt and blend into smooth batter and leave overnight to ferment. The next day, heat a tawa and grease it well. Pour the batter into it and spread it so that the edge would be quite thin. Sprinkle with chopped onions and chopped chillies. Pour a spoon of the oil all around and cook on a medium flame till the edge crisp. Then cook the otherside of the dosa half-the-time. 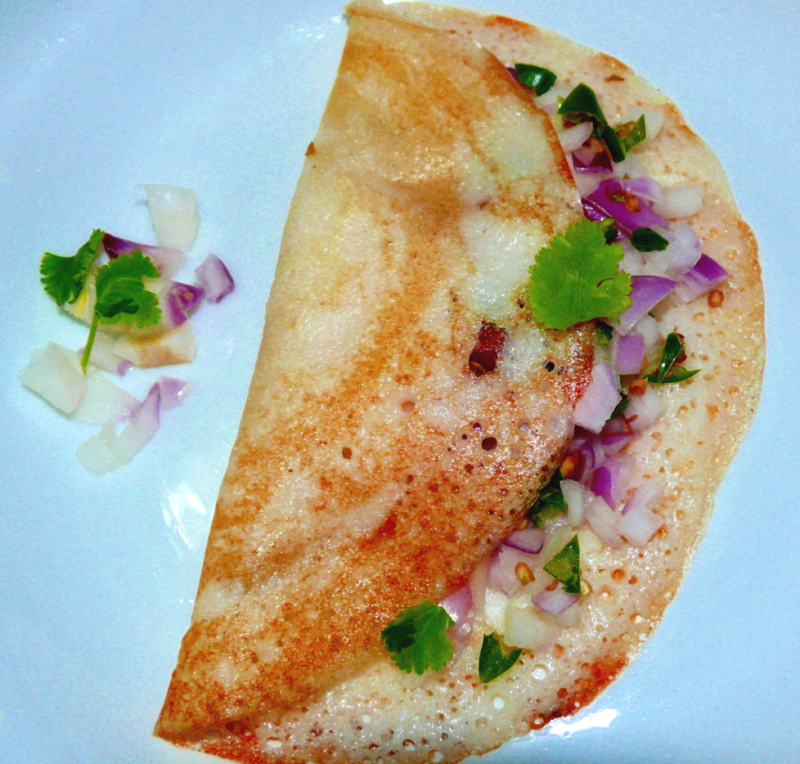 Take the dosa and serve hot with coconut chutney, sambar or vegetable kuruma. This recipe makes delicious ragi onion dosa or uthappam. Thank u so much Rajeshwari.Hi,Ashwin, Rajeshwari is correct. Ashwin,ragi flour means maize flour,in marati and in hindi its nachni.in tamil its called as kezhveragu.Grains look brown in colour. I love uthappam, thanks to you I now have the receipe; one question though " What is raggi flour" do u have an english name for it?